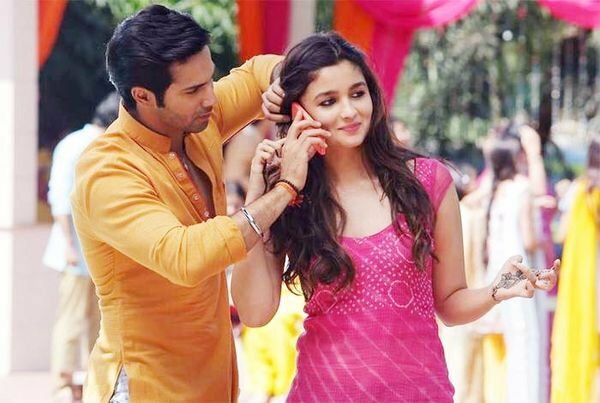 Bollywood does a few things perfectly - influences us to dream big and have unrealistic expectations from our love life. Although the former one is a game-changer, the latter one has been ruining our love lives for decades now. But we cannot complain because we are rabid fans and rabid fans do not complain; they just go nuts about their favorite stars. Although with every movie, our expectations alter, there are a few on-screen couples who have given us ultimate (unrealistic) relationship goals. Although we love these stars with their real partners too, here are a few on-screen couples we wish were real, in no particular order. Hands down one of the most popular couples in Bollywood, Kajol and SRK make dancing around trees look like a dream. Half of the country's population still have hope that they will find the love of their lives in a train or even in a mustard field. This couple also ensured that people never believe that a guy and a girl can be friends (especially if they play basketball). They have set the bar so high that it is almost impossible to match. They are the Golden Couple of Bollywood and no one can recreate their chemistry. Every time it rains, an expectant romeo somewhere brings out his black umbrella in the hope of finding the woman who will change his life. It is, of course, next to impossible as they should realise by now. This Golden Couple starred together in 16 movies in a span of 8 years. 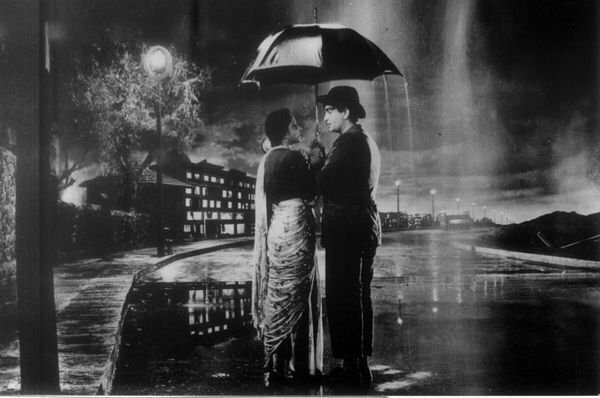 Awara , Barsaat , Shree 420 and Chori Chori are some of their greatest movies. At the peak of their careers, this on-screen couple ruled Bollywood. Their chemistry made even the most mundane plots seem like an artistic achievement. The rough and macho guy paired with the feminine and beautiful girl won everyone over in movies like Beta , Tezaab and Ram Lakhan . They were also a masterclass on how to keep the audience hooked. 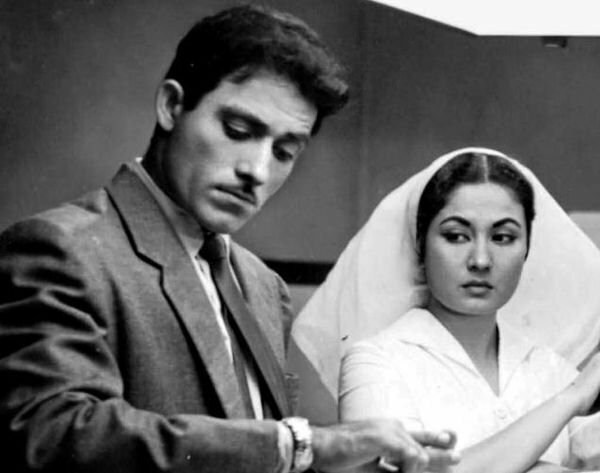 This couple infused life into some of the best movies ever made like Madhumati , Devdas and Naya Daur . The fact that both of them were outlandishly good-looking only helped matters. 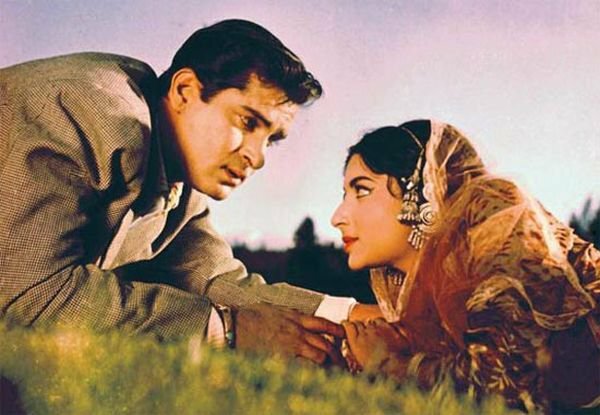 There was a certain kind of restraint in those days when romantic scenes were concerned and it depended on the actors to carry such scenes skillfully, something that Vyajantimala and Dilip Kumar aced at. This was easily the Golden Era of Indian cinema. Guru Dutt gave some of the best movies the country has ever seen including Sahib, Biwi Aur Ghulam , Pyaasa and Kaagaz Ke Phool . These movies were so great that current filmmakers worship them. 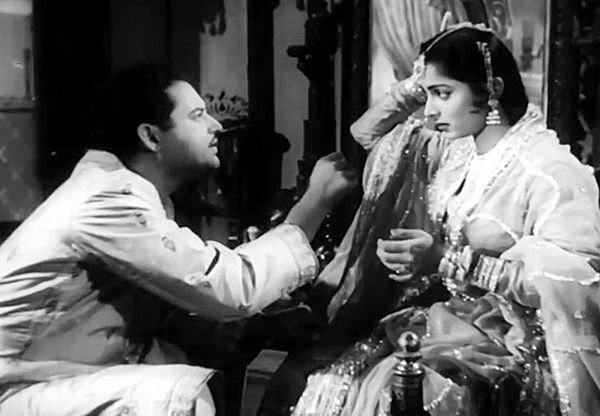 And one of the main reasons these movies have such cult status is because of Waheeda Rahman and Guru Dutt's pairing. They were intense and were always, always emotionally charged and that struck a chord with the audience. They are still one of the most iconic on-screen couples ever. The one definite thing that worked in their favour was that they both were as cute as buttons. She was the original 'bubbly girl' and he was the 'chocolate boy'. This couple was destined to be popular. She was not delicate and feminine like the other actresses and he was not the rough and tough guy and together they were young and energetic. They were a breath of fresh air and broke all stereotypes. He was unlike any 'hero' ever and she was unlike any 'heroine' ever. What made them so popular then? They were perhaps the most real couple to have graced the screen ever. They looked like they were a part of the audience. They were the working class - doing what working class people did, wearing what the working class wore, lived as the working class lived and showed the troubles the working class faced. And they were absolutely brilliant while doing that. He was the ultimate action hero, the macho man, and she was the quintessential beauty. What was not to love in them? They sizzled on screen and gave quite a few hits together. Long story short, people really wanted them to be a couple. The angry young man along with the sensuous Rekha was one of the most popular on-screen couples ever. The intensity of this couple spilled into their real lives too and it was alleged that they were seeing each other. They were also probably one of the best-looking couples on screen. 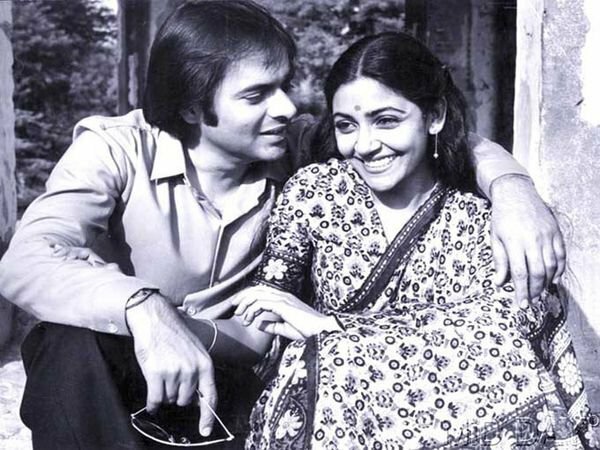 The first superstar of the country paired with the Bengali beauty never failed to create magic on screen. They were responsible for some of the biggest blockbusters of Indian cinema including Aradhana and Amar Prem . Guzaarish , Jodha Akbar and Dhoom:2 are testimonials to how good these two look on-screen. She is the most beautiful woman in the world and he looks like a Greek god. There is hardly any competition when it comes to looks, making them THE best looking couple on celluloid. He is the rough and tough desi guy and she is the elegant NRI and together they look like a million bucks. From comedy to drama to action, their chemistry has been tested in every genre and they never fail to impress. She has done maximum number of her movies with him and they share a good rapport off-screen too. They are undoubtedly the goofiest couple ever. They have given us laughter goals we didn't know we needed. They are that insanely fun couple who would wear anything, do anything and say anything to make people laugh. They are crazy and their craziness is infectious. They are simply unparalleled. 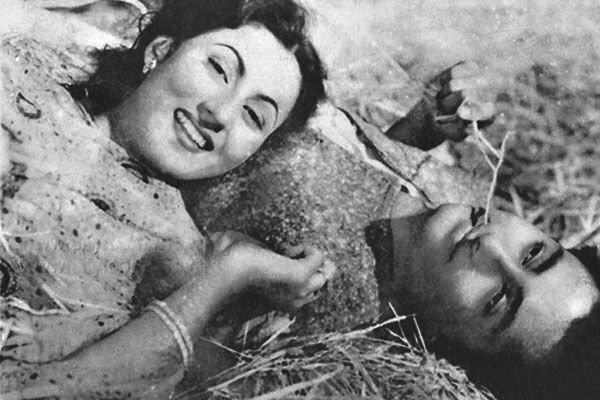 Madhubala and Dev Anand, individually, were probably two of the most popular actors in India. They gave romance a new meaning and the soulful songs that accompanied their romantic scenes definitely helped a lot. Though they reigned in the black and white period, their movies were some of the most vibrant ones ever. Their poignancy always stole the show. Both of them looked like troubled souls, full of angst and sorrow. It was easy to love them. 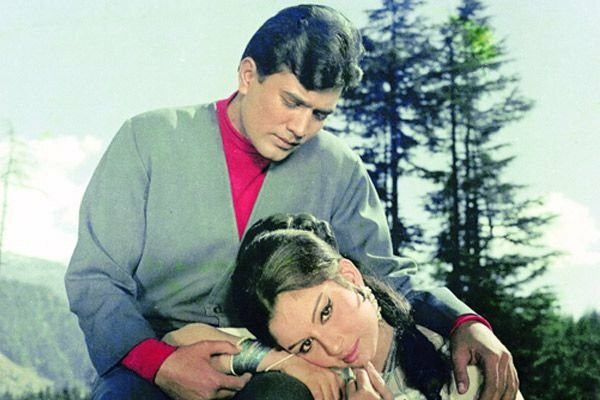 They were beautiful together and gave classics like Pakeezah and Dil Apna Aur Preet Parai . They still hold a special place in the hearts of the audience. Together they look like the most popular couple in school and that is what works in their favour. He is the boy next door and she is the bossy tomboy. That is the perfect equation right there! Although they have done only one movie together, their chemistry is too potent for us to not include them on this list. If there was any couple that could compete with Madhuri Dixit - Anil Kapoor, it was Sridevi - Anil Kapoor. They gave classics like Mr. India and Lamhe , movies that broke a string of stereotypes. Both the actors shared a great rapport and still do. They are the coolest, chicest and the most happening couple in Bollywood. And their extra-good looks always help. They both are funny too - both on-screen and off-screen. Zinta and Khan have also given some hits including Kal Ho Na Ho and Kya Kehna . They are the oddballs, both deviating from how the traditional hero and heroine should be. But together they are magic. Their most memorable work together is Bunty aur Babli . They are probably one of the most believable couples - imperfect and real. He was an immensely popular star, a favourite amongst women of all ages and she was the quintessential beauty. They starred in 12 movies together, including Kashmir ki Kali . Together they were quite popular and became a favourite of the audience very easily. 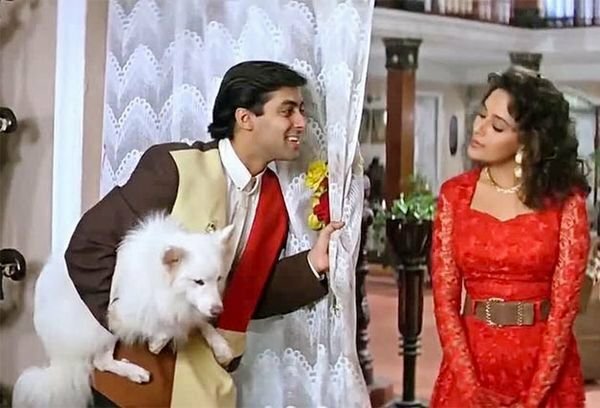 They delivered one of THE biggest blockbusters of Indian cinema - Hum Aapke Hain Kaun . He was the lovable romeo and she was the loving girl next door. Their charm was second to none and they easily won everyone over. They are two of the most gorgeous people in Bollywood. While Hrithik infuses lot of intensity in every frame, Katrina effortlessly complements all of her co-actors. That makes them one of the best couples on screen. Both of them are adorable together. Perhaps he fact that they are friends in real life reflect on screen. Whatever the case is, her cuteness and his chivalry make for a great on-screen pair.